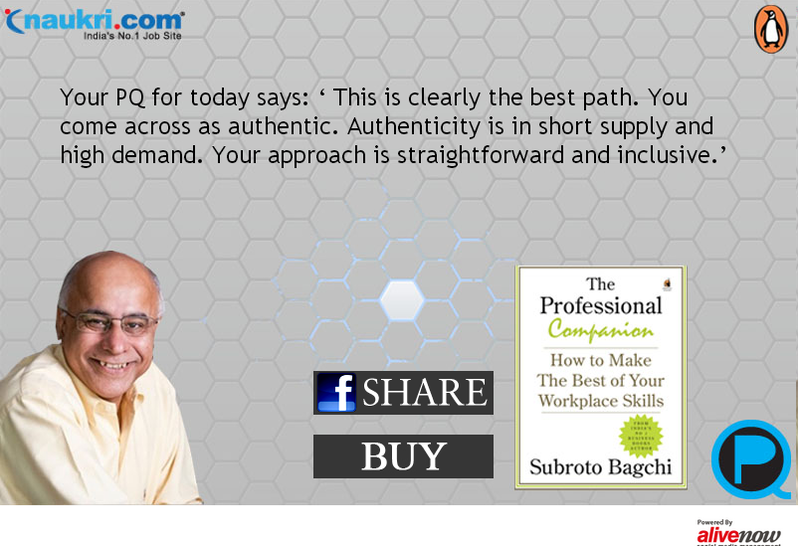 The campaign is primarily being done to promote the book ‘The Professional Companion’ written by Subroto Bagchi who according to Wikipedia is acclaimed as India’s No.1 bestselling business author. 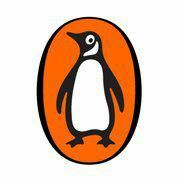 Penguin India simply wants to give the users a sneak peak of the book and generate their interest in it. The execution has been kept extremely simple. Penguin India is asking users to know their ‘Daily Professional Quotient’ by coming to the app and answering a simple objective question. The question is actually a situation which most of us face in daily professional lives. There are three suggested answers/reactions provided for the situation and the user has to choose one from those three. Based on the answer chosen the user is provided with his PQ (Professional Quotient) and the positives & negatives of behaving in that particular way for that situation. On the same page where the user’s PQ is displayed he is given two options, one of sharing his PQ and the other one of buying the book. In a way the simplicity of the app stands as a positive feature and the user is not given complicated situations/questions to answer. This definitely helps in arresting the drop off number on the app. The questions asked helps in knowing the community. It gives an insight on how people will react in certain situations. 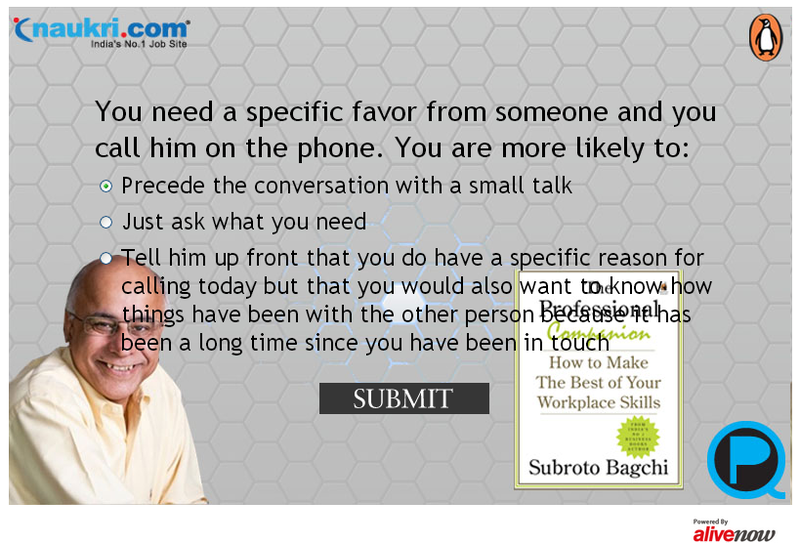 It makes the user feel that he gets advice from Subroto Bagchi. The “Buy” option on the app helps to drive traffic to the website. Its easier to measure the Social Media ROI with this app. They’s also partnered with Naukri.com for this promotion of the book. Thus it can be promoted with synergy. Looking at the app from design perspective there’s a lot that can be improved. The design looks shabby with a static background and text (the questions & the PQ) changing on top of it. At times the text is not even visible properly because of it merging with the background. Apart from the design, the user’s take away could have been improved too. As of now it’s only the link that gets shared on the user’s profile. Simple additions like making the image downloadable would have helped. There’s one question which comes to the app everyday but what about yesterday’s question? And what about day before yesterday’s question? Creating a repository of all these questions would have been better since a user might not come to the app everyday and might want to know about other situations/aspects of the book/professional life too. Considering the fact that the campaign is targeting professionals, Twitter could have been leveraged as a primary platform to promote the whole campaign. It’s a forgettable campaign for me, fails to generate interest about the book and thereby achieve its objective. Some amount of thinking could have turned the table and it could have been a much better campaign. Ankit’s raise in Social Media is largely down to his personal experiences. Travelling around India at a young age he felt the pulse of the nation which he transferred into the digital word. A quiet photographer by nature, he learned how to observe situations and look for solutions beyond the ordinary. Finally his journey brought him to the limelight of the digital world with Publicis acquired Digitas India. He took to the digital world like a duck to water and within no time started transforming the fortunes of the Social Media industry.